Esther Mahlangu is an internationally known Ndebele tribal artist who uses bold colours and graphics in her artistry. 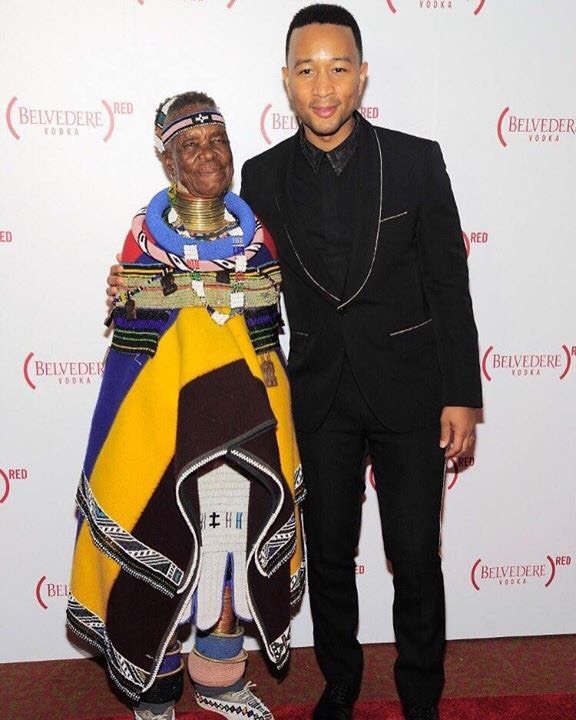 Her art has made her one of South Africa’s best exports and now she has teamed up with another artist, John Legend, to create the Belvedere Red limited edition bottle. The Belvedere Red #MakeADifference campaign is a global campaign aimed at addressing the HIV/AIDS pandemic in Africa. John Legend is the ambassador for the Belvedere Red Campaign and the two artists are set to design a unique limited-edition bottle, with 50% of its profits going to the Global Fund to help fight HIV/AIDS in Africa. The limited-edition bottle will be available from September at selected retailers.